This is a pre-order item. It will ship by the release date of Spark of Hope. There are few things as disappointing as buying a mountain of booster packs and not getting the cards you want. 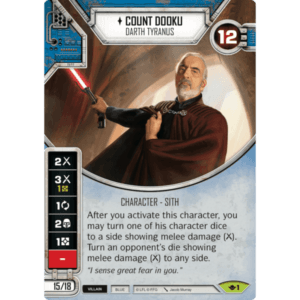 Our Star Wars: Destiny Saga Sets take the “chase” out of the game and allow you to dive right into the action with the characters you love! No frustration. No disappointment. No incomplete decks. You can even grab a second Saga Set to get a full playset of Spark of Hope, guaranteed. Skip the chase, and fully jump into Spark of Hope from day one. We were so excited to get this set! Great value for all the cards you get. Packaging could be a little better. Two small packs of cards were jammed against the dice and I have six cards that got pretty bent up. Fortunately none of them were legendaries, so not a huge deal. Thanks Team Covenant! Saga Sets are the ONLY way to go for me! It makes life so much easier to have these cards available immediately rather than having to go through a time consuming process of chasing down or trading cards to maybe get what you need. Hats off to Team Covenant for taking the time and effort to create these sets for the players. Excellent product from a company that truly cares about gamers. Always expect the best service in the industry from Covenant. I purchased saga sets for Legacies and Way of the Force, and, for me, this is the only way to go! I really appreciate having ALL the cards, without having to purchase multiple random boxes, then spend more $ at my LGS or online to obtain the Legendaries I didn’t get…not to mention dealing with being overrun by excessive copies of commons. Saves a TON of time. By purchasing a saga set, you truly do get to spend more time playing and less time shopping. 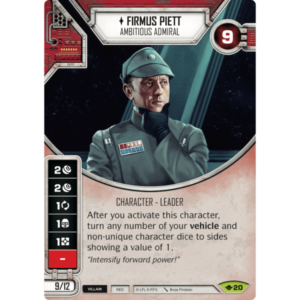 Having spent a significant amount of money buying booster box after booster box for the first four cycles of Star Wars Destiny, I can understand the challenges that collectible card games present. This is especially true for those who like to have a complete set of cards for each cycle. Unfortunately, this method of buying booster boxes also meant I had a large number of duplicates for cards that have no real value in the secondary market. 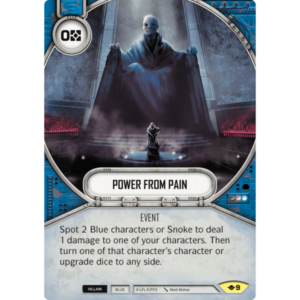 With the Saga Sets that Team Covenant creates for Star Wars Destiny, they have made it so much easier to get the cards that collectors want without all the duplicates that we don’t. And, given the inherent savings that the guys provide for these Saga Sets, it really makes this a great choice. I began by purchasing my first Saga Set with the Way of the Force cycle and was so impressed that I have already placed my pre-order for the Across the Galaxy cycle. The cards arrived ahead of Teams Covenant’s estimations (I ordered the Way of the Force to ship within two-weeks of release and got it in a little over a week after release) and everything was in perfect condition. The cards were separated from the dice and packaged carefully to ensure that the items would arrive it the best condition possible. And for those that still like to open booster packs, Team Covenant has you covered with their subscription service for booster boxes. With the huge savings off MSRP and free shipping when you subscribe for two (2) or more boxes, you get a great set of options to satisfy your needs. 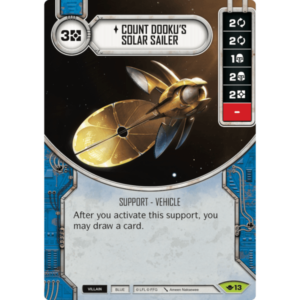 For me, I have chosen to subscribe for 2 booster boxes, as well as my pre-order for the Across the Galaxy cycle. This will allow me to not only have all the cards for the cycle, it will also allow me to flesh out the legendaries to allow epic play with many of those cards. Team Covenant is doing expandable games the right way and we are the beneficiaries of their passion for what they do!